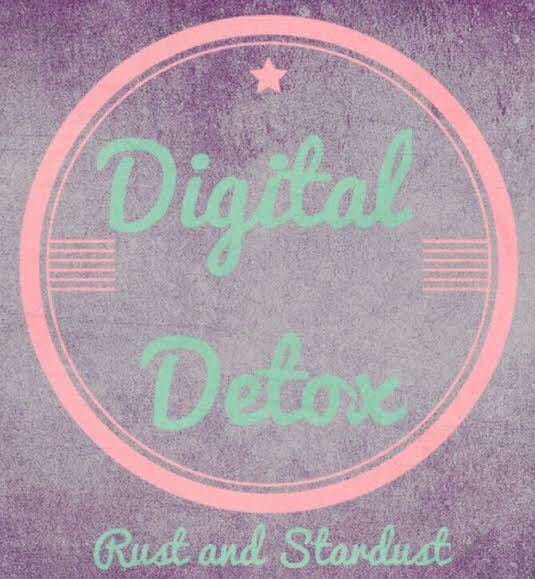 So what does a digital detox involve? For me, it is going to involve staying off my phone apps and also my laptop. So that means no WordPress, Pinterest, Facebook, Instagram etc, NO social media. It is going to be a real test on my willpower but luckily I like a challenge so I will do my very best. What do I hope to achieve by staying off line? Well I am hoping that I can become more mindful again and set my mind on one thing at a time. I am usually doing about 5 things at once and while doing these 5 things, I usually manage to pick up my phone a few times too. I want to be able to get back to doing one thing at a time. For example, having my breakfast at the table with no phone in hand plus radio in background. I want to truly connect with that one thing I am doing and really be able to taste that food. I feel like I am on auto pilot all the time and because of this my memory isn’t too sharp either. I have been running up the stairs a lot these days only to forget why I was going up in the first place, does that ring a bell anyone? This is the product of a busy, stressed out existence. During my internet vacation, I am also going to evaluate whether I really need to be so involved in social media. I am going to get out of the house more, read more, be more present for my son and try to bring meditation back into my life. I am also going to write down every day how I am feeling and note changes in my mood and stress levels. I am really serious about this. Since phones evolved to have the internet, they have become such an interfering force in our lives, always demanding our attention and alerting us to something that needs to be read and tended to. They prevent us from fully connecting with the world because lets face it, they are like a drug, so utterly captivating and addictive. I will not be a slave to my phone anymore and its time I faced the fact that my iphone and I have a co-dependent relationship. This has got to stop. So as of Monday 30th November I am taking a 10 day break from all my online commitments and phone apps. I will not be active on WordPress nor will I have any scheduled posts. I am both excited and nervous about this but feel it will be hugely benificial for both myself and my family. Does anyone else find that combining real life with the online world can be overwhelming at times? How do you deal with this? I would love to hear if anyone has embarked on a digital detox similar to the one I am doing and if so, how did you get on? Have a great weekend guys, wish me luck !!! Hi Nicola, I feel the same and I can fully understand how you feel. It often gets on my nerves about how much time I can spend on social media. BUT I have also found benefits in writing, so I can’t completely give it up. This is both sad and fantastic! I completely understand how you feel, wanting a few days away, feeling like I’m constantly checking, and even then I feel as though I’m falling behind. Blogging is time-consuming. Not just the posts we make, but the posts we must read and comment on to stay active and part of the Blogosphere, and to show others that we care about what they post as much as they care about what we post. It is truly exhausting. I know the feeling all too well. It’s fantastic because you are taking that step to push back. It’s difficult to break ourselves away from technology. It’s such a integral part of who we are nowadays and that’s a scary fact indeed. I commend you for taking this step. Thank you so much Melanie, what a lovely supportive comment. It really warmed my heart, thank you! I have been trying to phase out my apps over the last few days so that its not such a shock to the system tomorrow. It seems to be working. So I’m feeling positive and hopefully I will decide to stick with blogging. I do really enjoy it because of the lovely people like you that I have met along the way. We don’t celebrate Thanksgiving here in Ireland but I commented on your Thanksgiving post the other day so saw that you celebrate it. Are you in America? Oh dear! I never saw your comment! How terrible of me! Yes, I live in America and I do celebrate Thanksgiving. ^.^ One of my favorite holidays. Ah! Yes, I know the feeling: determining how much time to devote to a blog. I know that all too well. I’m not on Instagram. I don’t get much into the picture apps and social media sites (I don’t take many pics). I love our chats, too. Relax, detox, enjoy, and recharge. You are not alone. We all need Media Detox from time to time. Take your time, Nicola! I think it’s very brave of you to take such a decision, I can’t wait for you to update us on how the experience was for you. Have a great time! I absolutely understand where you are coming from! Multitasking can take the richness out of our experiences, particularly with social media’s involvement. All the best with your break! I hope you find the peace and happiness you are after. I know I’ll be ready and waiting for your return to this blog.